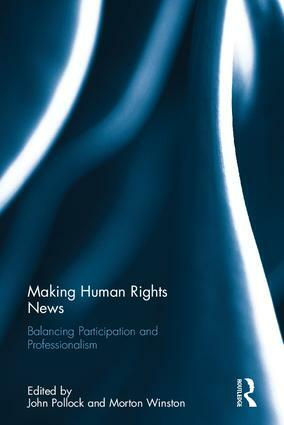 What can scholars from a wide range of disciplines – including communication studies, journalism, sociology, political science, and international relations/studies – add to traditional　legal and political human rights discussions, exploring the impact of innovative digital information technologies on the gathering and dissemination of human rights news? What questions about journalism ethics and professionalism arise as growing numbers of　untrained "citizen witnesses" use modern mobile technology to document claims of human rights abuses? What are the limits of the "liberating role" of the Internet in challenging traditional sources of authority and credibility, such as professional journalists and human rights professionals? How do greater Internet access and human rights activism interact with variations in press freedom and government censorship worldwide to promote respect for different categories of human rights, such as women's rights and rights to health? This book was originally published as a special issue of the Journal of Human Rights. John C. Pollock (PhD, Stanford) is Professor of Communication Studies at The College of New Jersey and a member of IAMCR.